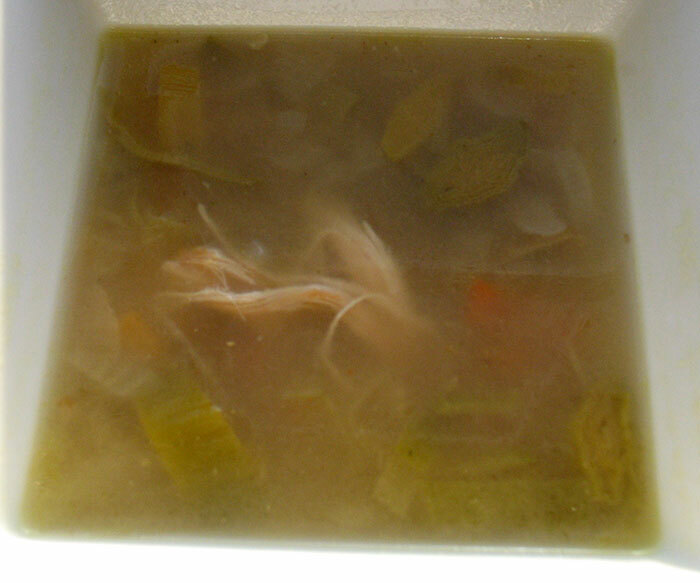 As the name suggests this is a Chicken and Leek soup, and it is seen by many as the quintessential Scottish Soup. Tracing back it’s first mention in print was 1598. In it’s purest form it should contain prunes, and yet I never knew this until doing research for this blog post! I left the prunes out this time, but I think next time I make this soup, I’ll add them in (and of course report back on the results!). I also mixed around the vegetables, based on what I had left over from last weeks veggie basket. I used one leek instead of two, and instead added in onion, carrot and turnip. ~ serves 4. Original recipe comes from AllRecipes. First prepare the chicken by removing as much of the skin and fat as possible, this will leave you with a clearer broth. Heat the oil in a saucepan, browning the chicken on both sides for about 5 minutes. After it’s browned removed the chicken from the pot and sit aside. Slice the white parts of the leeks cross ways so you are left with circular slices of leek, add the whites of the leeks to the pan, and reserve the greens for later. At this point also add the onions, carrots and turnip and fry until the vegetables soften – around five minutes. Now return the chicken to the pan, adding the stock and bouquet garni, bring to the boil and leave to simmer with a lid on for 30 minutes. After 30 minutes shred the greens of the leek and add the prunes leaving to simmer for another 10 minutes. Remove the chicken from the pan removing all the bones and shredding the chicken into bite-sized pieces. Add the shredded chicken back to the pan and continue to cook for another couple of minutes before serving. I have to say there is a special pleasure for me in cooking such a traditionally Scottish recipe. Scotland is not exactly known for it’s exciting cuisine either in the past or present (nor it’s healthy eating choices) but it’s the fact that this recipe is simple and uncomplicated which draws me to it. 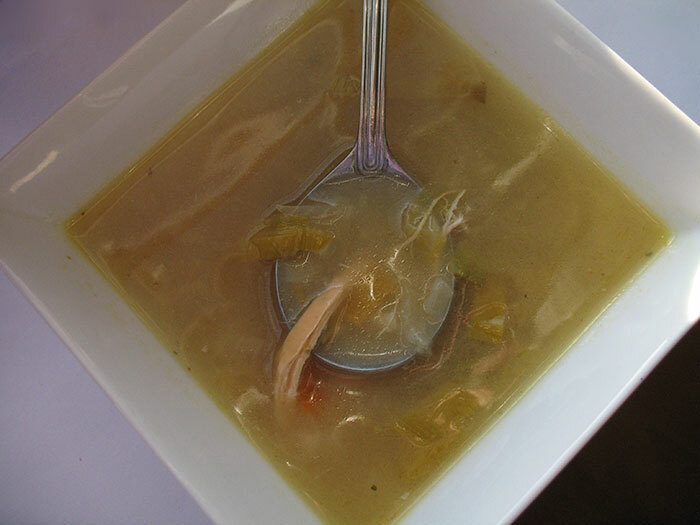 This is the perfect soup for a cold autumnal day.